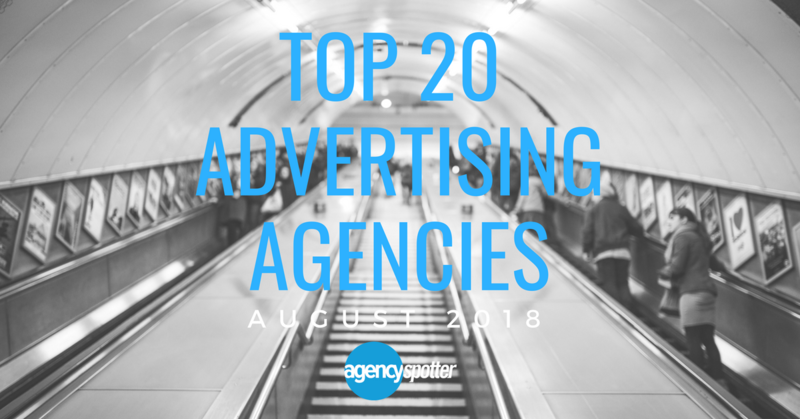 ATLANTA, August 9, 2018	(Newswire.com) - ​​​​​Agency Spotter's Top 20 Advertising Agencies Report has named Traction as the number one advertising agency. Located in San Francisco, Traction is highly focused on the experiences good marketing can provide audiences. The agency sees the public as empowered enough to consume media on their own terms, thus making it a goal of theirs' to project brands effectively through multiple media. Traction describes its perfect client as “someone with a good problem to solve,” and is strategic about uncovering insight that helps optimize campaigns. Verified client reviews confirm this. For instance, Tim Brown, the Creative Director of Digital at Bank of America, says Traction “does their homework” to understand marketing challenges and bring “bunches of creative ideas to the table.” Sandra Kim, Senior Director of Marketing at Riviana Foods Inc. in the Food & Beverage industry, says she chose Traction because the company needed to increase Riviana Foods Inc.'s relevance among younger consumers with the help of a progressive marketing agency. Traction fulfilled these requirements. Traction works with companies across industries, some of these including Apple, Bank of America, Charles Schwab, McCormick & Co, Adobe, and Healthy Pet. In close second on the Top 20 Report is Preston Kelly. Having been recognized as Advertising Age’s Midwest Small Agency of the Year, the agency chases iconic ideas and makes them deliver faster results for their clients. The work Preston Kelly created alongside the YMCA’s Chief Experience Officer Bob Thomas caused him to say the campaign has “produced better than projected and will likely continue to produce longer than expected.” A common theme among client commentary is that the agency is a joy to work with. Preston Kelly works with companies across many industries, but they cite some of their specialties as consumer goods, financial services, healthcare, non-profits and real estate. Specifically, some of their clients include InSinkErator, Medtronic, Northstar Canoes, Pic ‘n Save, and Nickelodeon Universe. They are the first Minnesota-based agency to place in an Agency Spotter top 3. 95 percent are based in the U.S.
Agency Spotter’s Top Agency Research Reports are issued on a regular basis and are continuing to roll out across various marketing, advertising and design service areas. Companies interested in being in the running are encouraged to complete their portfolios or apply to get listed, and to review the report methodology on Agency Spotter's website to be evaluated for future coverage. Agency Spotter is a B2B ratings and review marketplace, and an SaaS provider that connects marketers with top marketing agencies across advertising, design, digital and 40 marketing-related services. The company’s website and iPhone app help professionals navigate the marketing agency landscape and let thousands research and select agency partners around the world. Learn more on www.agencyspotter.com.